and relaxes the entire physical body. It stimulates healing and can relieve pain. Learn to do Reiki for yourself and your loved ones! - A Reiki I attunement to do hands-on healing for oneself and others. 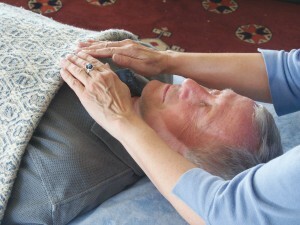 - Experience giving and receiving Reiki. - A Reiki I Certificate. - Reiki session with Martyne during the month prior ($75). You will be asked to chronicle/journal the session and its effects and share this at the training. - Reading 52 pages of the Reiki I Manual prior to the training (included). Registration is limited to 4 attendees to assure individual attention. Please contact Martyne with any questions or for information regarding Reiki II training. You may email her to request a registration form. – 20 minutes east of Albuquerque - location provided when registration received. Cost: $160 – Registration and payment: due by 9/8/18.